A big cause of paranoia in homeschooling is the worry of not doing enough for your child to enter college. You can do all you can to ensure your child is at a certain level of knowledge to proceed from year to year but when do you start capturing what they have learned in order to produce a viable transcript for graduate school or trade school? Do you start at the middle school level? High school? What do you need in in a transcript? Learn how to put this worry behind you and generate high school transcripts in only a click. High school transcripts cause one of the most fears in high school moms than any other fear with homeschooling older kids. There is a worry of doing the transcripts correctly or putting so much time in it only to realize that colleges won’t accept them somehow. It’s amazing what stress a little paper can cause us. However, it doesn’t have to be that way. It totally doesn’t have to be a huge deal, especially when you have a tool that provides a perfect high school transcript with no stress and in one simple click. Of course, there are some things that you need prior to worrying about transcripts. You would need a clear plan to what your high schooler would need to learn. It would also be a good idea to look at the colleges around you6 area to get a feel for what admission requirements are. That way you can weave the requirements into your curriculum plan and still have room for other subjects or courses that you may want them to learn. 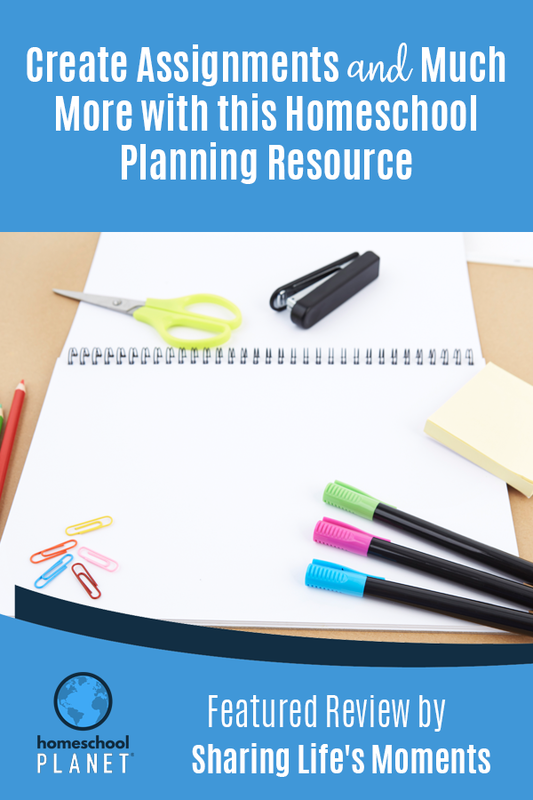 If you want some subject or course ideas, Homeschool Planet has over 750+ professionally designed lesson plans from amazing publishers for high schoolers to explore. Having your curriculum plan or an idea of the courses you would like included on your student’s transcript beforehand can help you plan out their high school journey and your duty as their educator. You also do not want to wait until your child is almost done with high school to start a transcript. You definitely want to start building the transcript when they start high school. Having to backtrack together documentation of what your student has done when they were a freshman will be super difficult, no matter how well you think you could recall the grades or courses they were given. So, start early and add to your transcript along the way. Each state has its own system for calculating credits and its own credit requirements for graduation; you can find the requirements in the state’s department of education website. Most states see a year-long course as one credit and require around 20-24 credits for high school graduation. Remember to see your area’s/state’s requirements. They usually have a system for calculating credits and obtain the number of credits required for graduation. Keeping accurate records along the way and staying on track can get pretty overwhelming, especially if you have a house full, but Homeschool Planet can take all that overwhelm and make it simple. We are responsible for creating our children’s high school transcripts ourselves, but with a tool like Homeschool Planet being your personal assistant in gathering grades, attendance, courses and more it will be a cinch. • Extensive reports to help you manage grades, attendance, activities, and more. • Filter all reports to include exactly what you need, and only what you need with Homeschool Planet’s comprehensive and customizable reporting capabilities. • Create Grade Reports (summary or detail), Assignment lists (done or undone! ), and compile all Class Notes. • Track your books and resources. • Track and report class hours with a convenient clock icon that lets you see exactly which items you are tracking. Homeschool Planet creates a professional looking transcript which is fully customizable with spots for activities, honors, and standardized test scores. You can even enter previous information for a complete picture and choose the scales and weights for your child’s GPA. High school transcripts are required for any type of higher education. Even if a homeschooled student intends to go straight into the workforce, having a transcript is still important, as employers might request at least a high school transcript. We devote so much time and energy to providing our kids with the best information. Capturing all family’s hard work on a transcript at the end of high school is such a relieving and accomplished feeling. 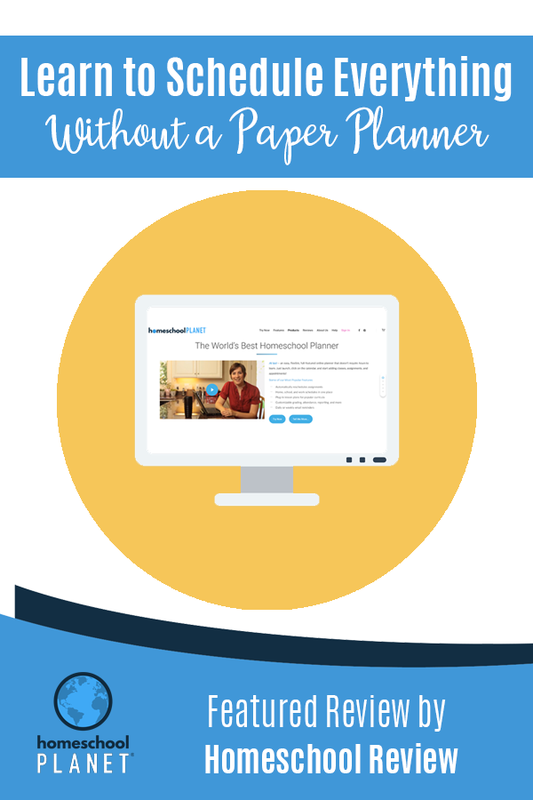 Head over to Homeschool Planet for a planner and all-in-one organizer that can generate your teen’s high school transcript in one click. I think that moms should get a degree in juggling. We juggle home life, mom life, being a wife, and for some of us working from home; we should be considered part of a circus juggling act. 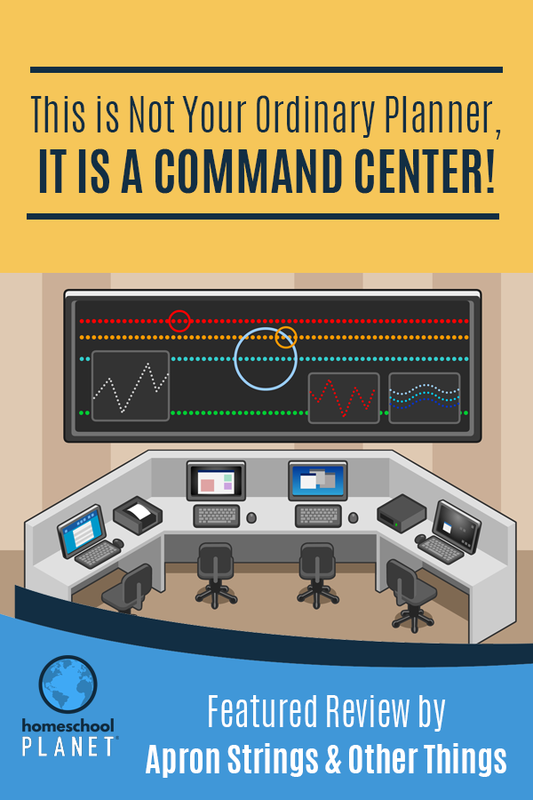 Do you ever wonder how we manage to do it? Sometimes it’s just too much and we let a ball drop, or two. Keeping track of all your family members, especially as the kids get older, can seem like a winless battle. 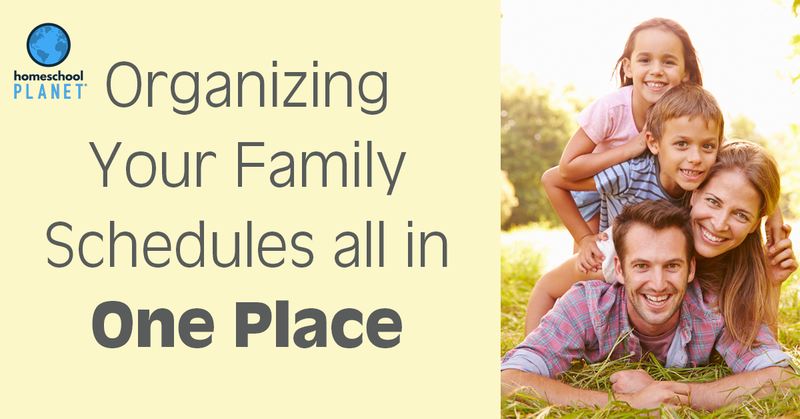 Wouldn’t it be nice to organize your family schedules all in one place? As an adult, I have always been really organized. Order in my life brought me joy. Things were always so crazy around me that I liked to come home to peace and cleanliness—and enjoyed a neat desk. Once I finally was able to work from home and homeschool, things pretty much were flipped upside down. It was a shocker for me. Why weren’t things perfect like I imagined they would be? I thought things would be amazing once I was able to stay home with my kids, but staying home opened up the door to more responsibility and more time to do more. It was tough. People came out of the woodworks asking if I could take them places or babysit their kids, we had doctor’s appointments, chores, grocery shopping, co-op, and I was torn in all different types of directions. Keeping our family’s schedule straight can feel impossible at times, it seemed that way for me for a while. We, as busy families, could use a tool that has everything we need, when we need it and all in one place. I found one that works perfectly for my family and I know it can do the same for yours. 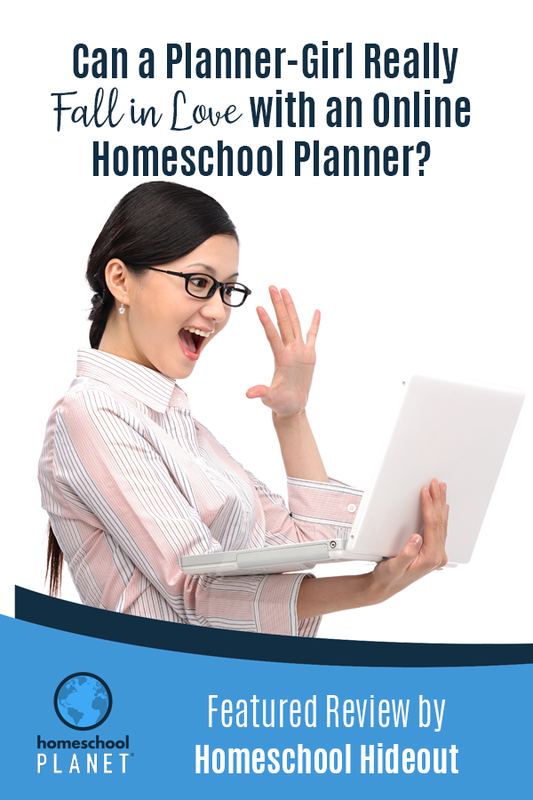 Homeschool Planet’s online planner can manage your home, school, and work schedules and—it’s also available 24/7/365. 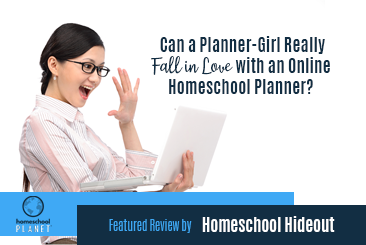 Once I discovered all I could do with Homeschool Planet to organize my day, weeks, month, and year, I was hooked. 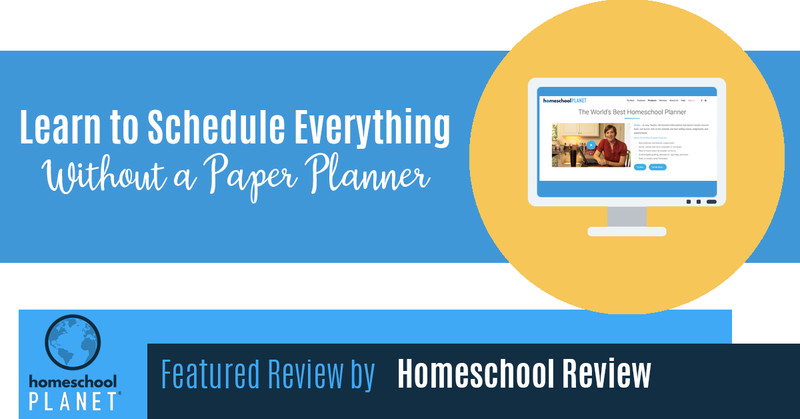 I use a paper planner for meeting notes and to jot down ideas for my freelance business, but Homeschool Planet’s planner online is what I use to schedule my work appointments, deadlines, homeschool assignments, and everything else with my home. 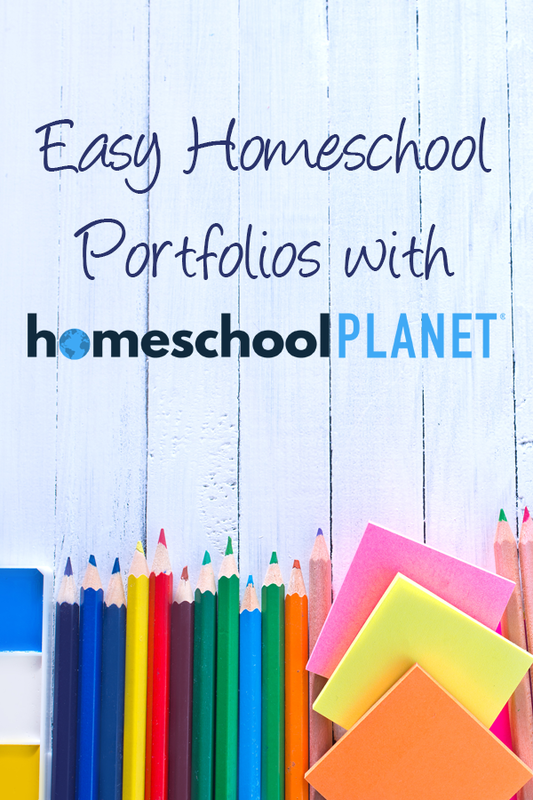 You can access Homeschool Planet from any smart device, making it easily accessible and adjustable for busy days. 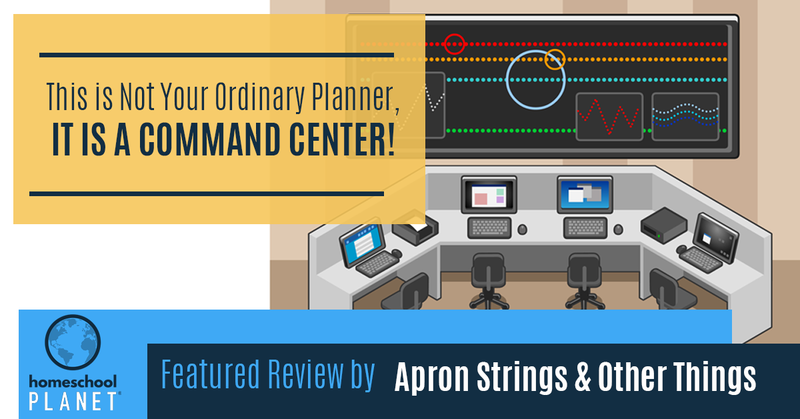 At the beginning of the year you can schedule the whole framework for your next 365 days, then adjust it for your children’s classes, assignments, chores, field trips, sports practice, doctor appointments, and music classes all in ONE convenient location. 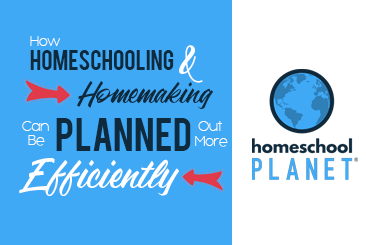 Although Homeschool Planet’s online planner can be accessed all online, each family member has a separate login where you choose what they can view and edit. We often use the Mobile Version on our phones to know our plans for the day and we can easily organize our day to ensure we accomplish everything. After I have chosen my curriculum for the year and done research on what I want my kids to learn, I can easily create our school calendar year in only minutes. 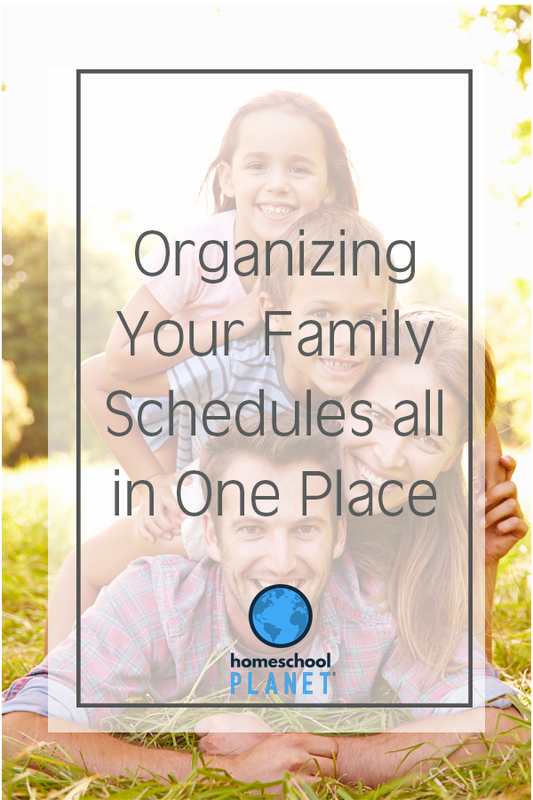 Homeschool Planet’s Ultimate Calendaring System can hold your entire family’s activities while letting you view all your kid’s calendars simultaneously. You can also select to see only a couple schedules at a time or one student schedule at a time. The flexibility of Homeschool Planet’s calendaring system allows you to efficiently organize your students’ schedule, have an overview of what it looks like in the week (day or month as well) in order to plan life accordingly. I now know that if I try to keep on top of everyone’s schedule, I will fail at some point or I will stress myself out in the process. That is why I rely heavily on Homeschool Planet’s ability to communicate and share information between our family members. Each child can be sent assignment reminders by email or text to independently keep on track of their learning. You can even message your kids or husband reminders of chores or items they can pick up from the grocery store right from the Homeschool Planet’s platform. 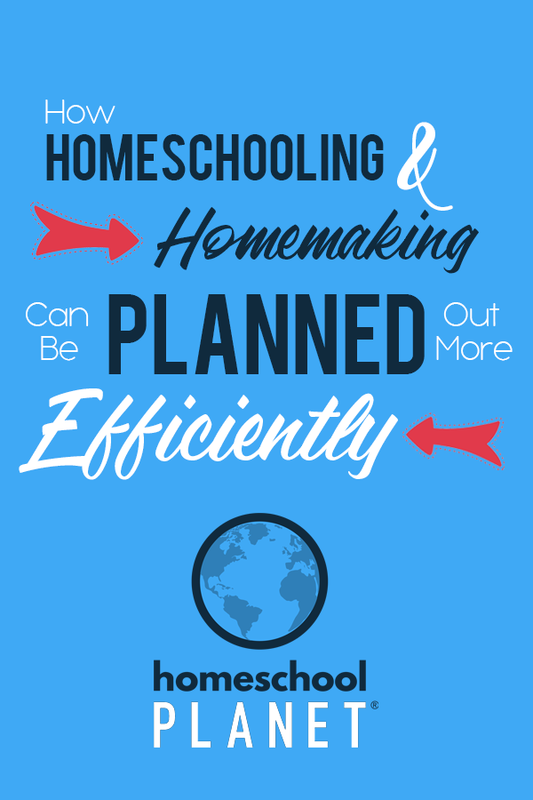 Homeschool Planet changed our lives in such a functioning and productive way. 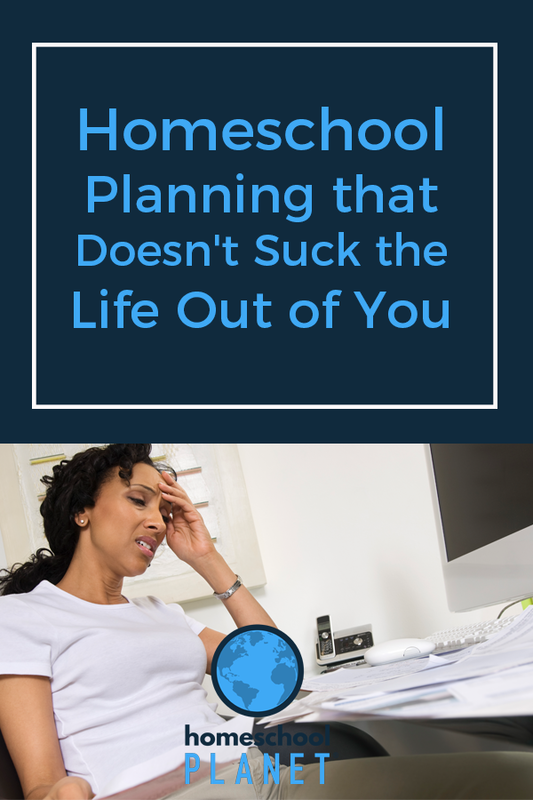 I thought I was going to lose it for a moment a few years back, but Homeschool Planet was able to keep my head above water and save me so much time to focus on work and homemaking. I no longer have to follow up with my children on not doing their required assignments. They clearly know what is due and when it is due. 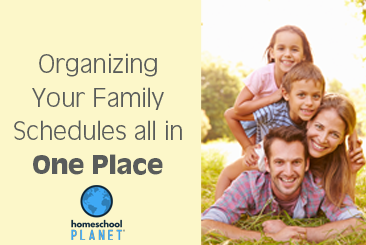 Homeschool Planet helped my life get back into order and operating in an organized manner. I love that my Google Calendar syncs to my Homeschool Planet calendar since sometimes my appointments may coincide with co-op or my scheduled chore days. I can easily adjust and reschedule directly from the site. 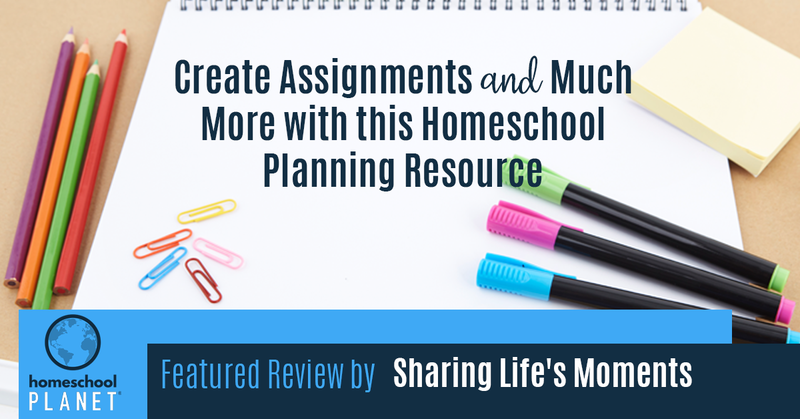 Organizing my life on Homeschool Planet has been a game changer for my family in work, school, and home. I am able to see what our schedules look like as a whole, schedule in time for cleaning (for everyone), and get the flow of working at home and homeschooling in order once and for all. I am back in my happy place of some type of order in the home. Life still isn’t perfect, in fact, it still can get slightly chaotic, but we have an organizing system that never lets us steer too far off the path. Organizing our whole family’s schedules all in one place has brought us closer together and more connected. 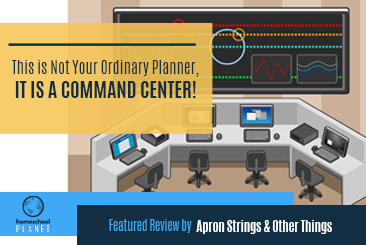 Homeschool Planet’s organizational systems can help you do the same. I know this homeschooling journey is different for many of us. Our families are different, our lives are different. Some of homeschool 6 children, some of us are also work-at-home moms, whatever your home dynamic is, one thing holds true—simple is better. Many of us have lives that are chaotic at times, if not most of the time, and simplifying is perfect for the chaos. It is not any different with lesson planning. 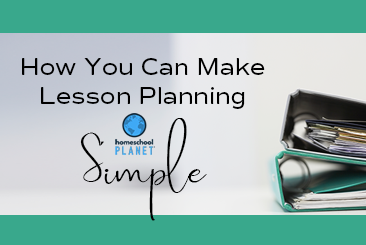 I found a way to make lesson planning simple in my homeschool and I hope it can do the same for you. I have to admit that when I first started homeschool I was super organized. I was previously an early learning teacher, so the preparedness I needed to turn in my lesson plans spilled over to how I set up my lessons for my kids. I set the term up into what I wanted my kids to learn in the main subjects (Math, Science, History etc.) and the everyday Bible, reading time, and extracurricular lessons. The order I set outworked for a while, but I found that we would need to reschedule lessons often because of “life” and it became harder and harder for me to ensure we were caught up. Lessons changed. I had to move on to another lesson because of the time constraints I gave myself. I started working from home which added to the madness. The next terms came and I found myself getting less prepared for them. I pushed off doing my lesson plans a month, two weeks, and then to a week in advance. Eventually, I drove myself mad trying to rush my plans on a Sunday for the week. I thrive on organization and order, so putting off my lesson plans until Sunday really threw me off my game. I was uneasy and unsettled which was not good for anyone. I was trying to do everything and it was all too complicated. I knew I needed to find a system that would hold me accountable but I knew, unequivocally, that I could not go to a system that was complicated. I already had complicated and I didn’t want to go back. I needed something to help keep me organized, something to keep me on track, but above all, I needed something simple. 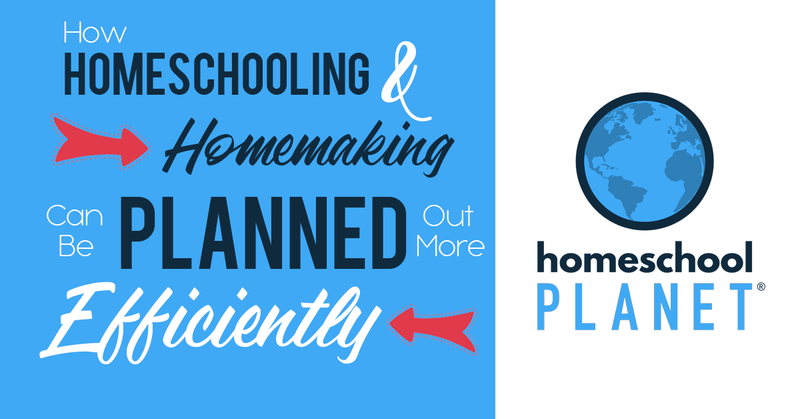 Homeschool Planet had a quick and easy planning system that my friend was raving about. 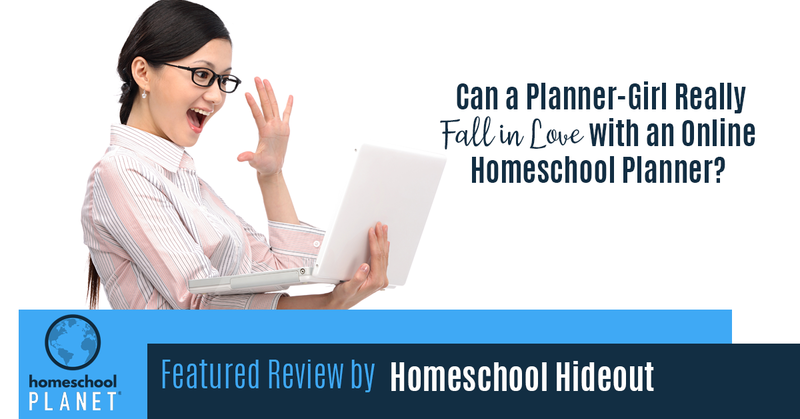 I quickly found out that I could plan my whole homeschool year’s framework in this all-encompassing tool. I was hooked. I created my children’s school calendar individually in terms like I prefer to run our school year. More importantly, I wasn’t wrecking my brain with lesson plans for the major subject areas. Looking through the Lesson Plan Market Place I was able to select lesson plans that were exclusive to Homeschool Planet. Once I selected which lessons I wanted for my kids, the lessons were automatically scheduled out for the entire homeschool year. If I wanted to add some resources, I simply could upload the assignments, notes, and online resource links to add to the lesson. I can also do this at all times throughout the year. 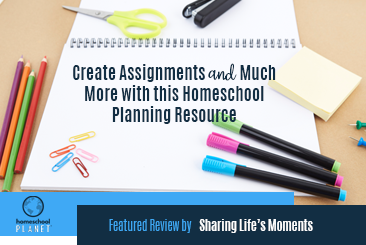 Homeschool Planet lays out the entire year’s framework, and I can add resources or fun assignments if I come across them online. I was looking for simple and I got it. I have to dedicate some time at the beginning of the year to set up the lessons, and I also review what I have set up before each term to add some fun resources where I can. Other than that I feel as if there is a weight taken off my shoulders when it comes to homeschooling. I am still a hands-on mom, I still dedicate Monday through Thursday during their homeschool hours to be available for them. 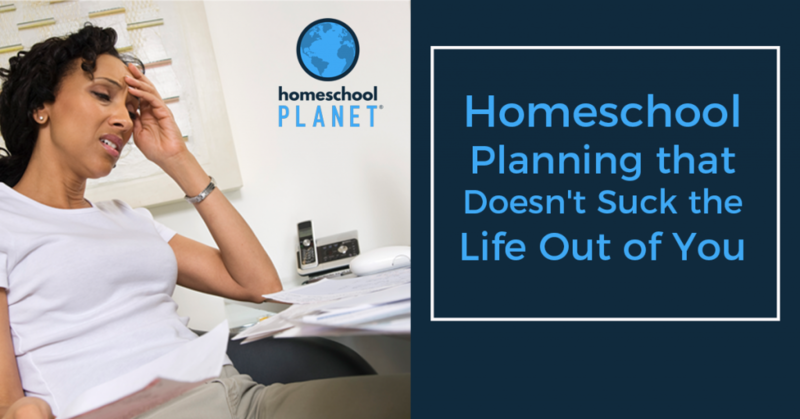 However, using Homeschool Planets lesson planning has simplified our days, terms, year and freed up so much time to dedicate to work and home life. Visit the Lesson Plan Market Place and select a lesson or lessons that will fit what will be best for your children. Choose the dates and times you want this class to run. Click next. Note: Homeschool Planet will let you know how many days you have on your school calendar for assignments. The next section will make suggestions on how you should grade the lessons. You can also adjust your grading system at a later time. Homeschool Planet then builds your new lesson plans for you, when you press “OK”. You can edit the class and see all the assignments, resources, and grading information all in one place. It is super simple to set up a lesson on your child’s schedule. 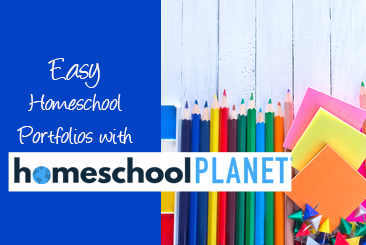 Homeschool Planet provides step-by-step tutorials to help you through its processes. Search through Homeschool Planet’s Lesson Plan Market Place for hundreds of lessons separated by subject. 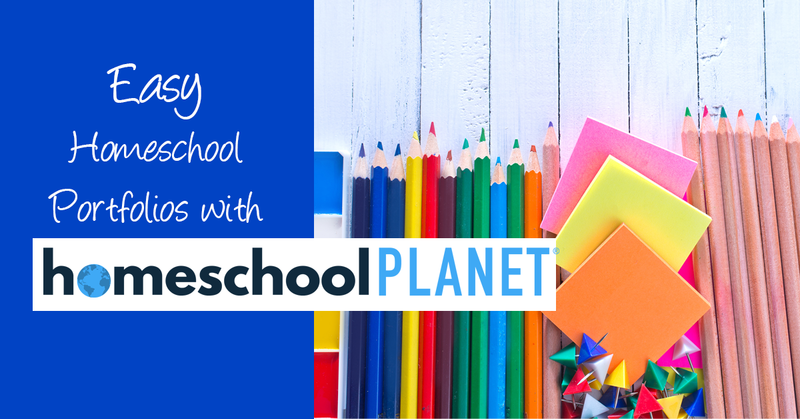 After selecting your lessons, buy the lesson for your curriculum, sign in to Homeschool Planet, and at the click of a button, the lesson is automatically added to your child’s school year. I am so glad that my child is learning, and that I can trust that the lessons on their schedule are quality lessons. 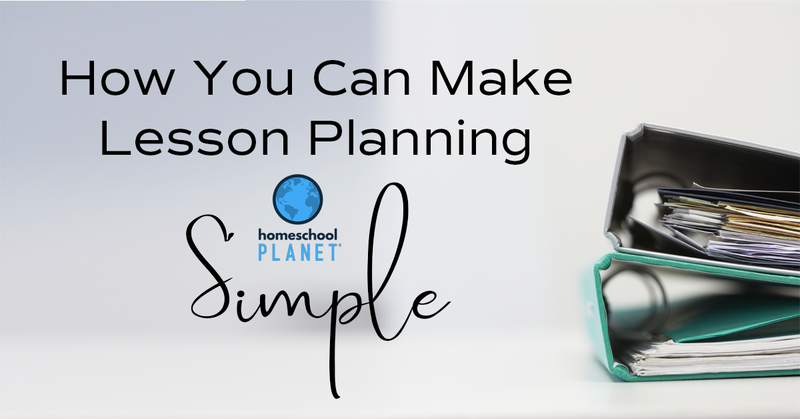 You can also make lesson planning simple with Homeschool Planet. 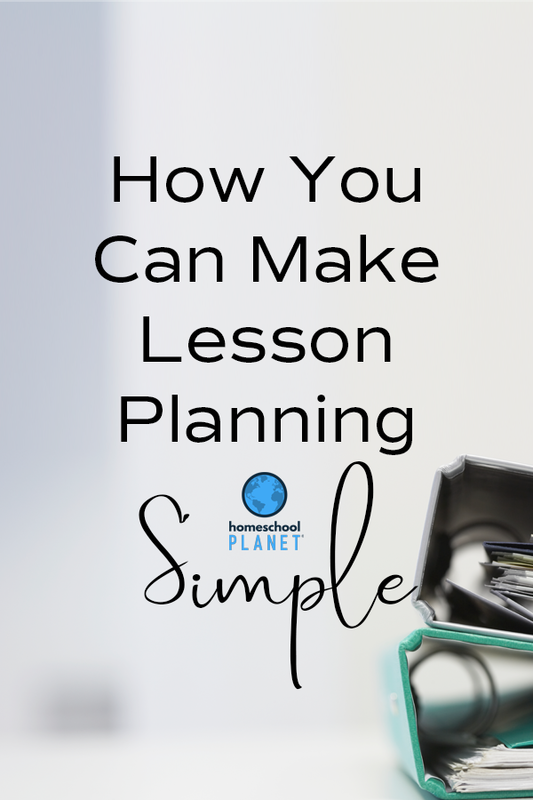 View some of Homeschool Planet’s features to make your lesson planning simple and to help keep you organized.